Plantar Warts are benign epidermal tumors they can be very difficult to treat. Their are 2 main types of Planter Warts they are singular warts and multiple or mosaic warts. Mosaic warts tend to spread very aggressivly and over time they can occupy large areas of the foot making them difficult to treat. Singular warts on the other hand are singular lesions hovever thet also are inclined to spread forming satelite warts in close proximity to the initial point of infection, these warts are often more painful than mosaic warts. 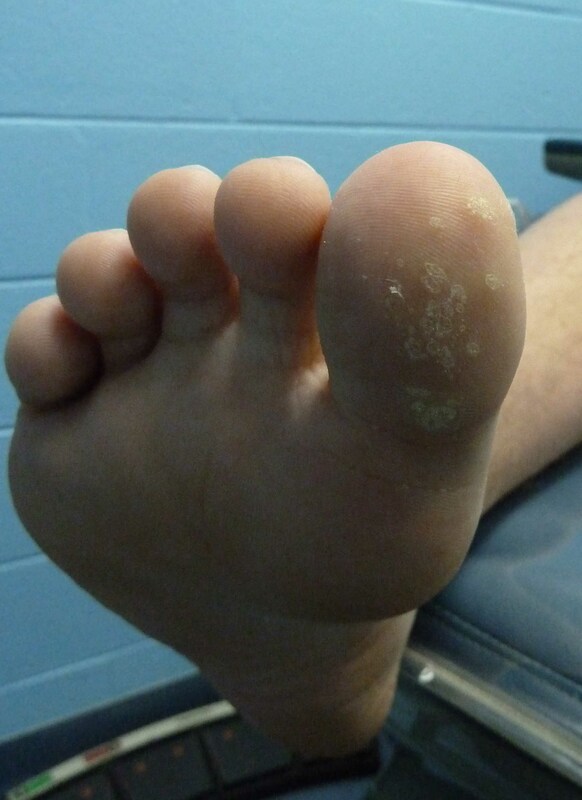 Plantar Warts are caused by the human papaloma Virus (HPV), this gains entry into the skin through what is known as “micro trauma” these are tiny little abrasions in the epidermal layer of the skin over time the wart virus will hijack the dna of the epidermal cells resulting in a spreading of the wart. It is really important to seek advice early, we see far too many patients that have let them spread to the point that treatment becomes very difficult and often more painful than it needs to be. Dr Greg Bastin of Brighton Podidatry specialises in the treatment of Plantar Warts we use all sorts of methots to treat them depending on the type of wart a patient has, we can do surgery on some or even use the latest form of treatment that Dr Bastin has developed and that is the use of Laser to destroy warts. This method is becoming more widely accepted and has cure rates better than 90%. There is enormous intrest in this new treatment method Dr Bastin says the results are nothing short of amasing. If you have problems with Plantar warts be they a simple single plantar wart of a more complex wart which may have been treated before with no success give us a call I am sure we will be able to help.